"African culture is diverse and very expansive with the largesse and detailed intricacy that comes with it for a truly and remarkable rich culture. 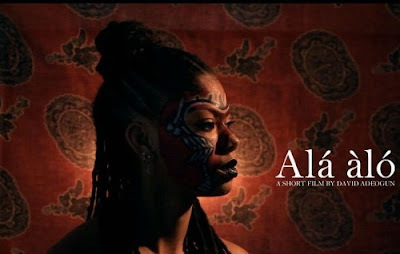 To encapsulate all that with great detail and tell it in a storyline that catches bits and pieces of each aspect can be a hard thing to do but the producer of short film “Alaalo” almost managed to achieve that; an amalgamation of several true stories, very unique in its narrative style, and explores a different angle of story telling and of the African culture. David Adeogun employs a really different style in his film making. It is bold and powerful and delves into new forays."